When Oct. 31 rolls around, it’s time for students to get ~spooky~. As I write this article in my vampire costume in Deering, the most haunted of the libraries on campus, I bring you some creepy facts that will turn the Wildcat in you back to a Wildkitten courtesy of Northwestern researchers. This isn’t exactly science, but I don’t know of anything as scary as the prospect of going to Norris and not having the opportunity to wipe out on the ice rink umpteen times. Let that sink in for just a moment. Your doggo is capable of perceiving when you aren’t up to snuff with filling the food bowl or the amount of time spent outside for walks. To put it another way, if dogs were allowed in dorm rooms, they’d be able to sense your procrastination. Maybe these university pet policies aren’t such a bad idea after all. This one’s a bit on the nose, but quantum entanglement, a key component in how quantum computers function, is called “Spooky action at a distance,” according to none other than Albert Einstein. It’s pretty clear that Einstein was thinking ahead to the 2018 Halloween season when he said this famous quote. It wouldn’t be Halloween without spiders, least of all the infamous black widow. This terror of the night is the most venomous spider in North America, with female widows having venom 15 times as toxic as a rattlesnake. 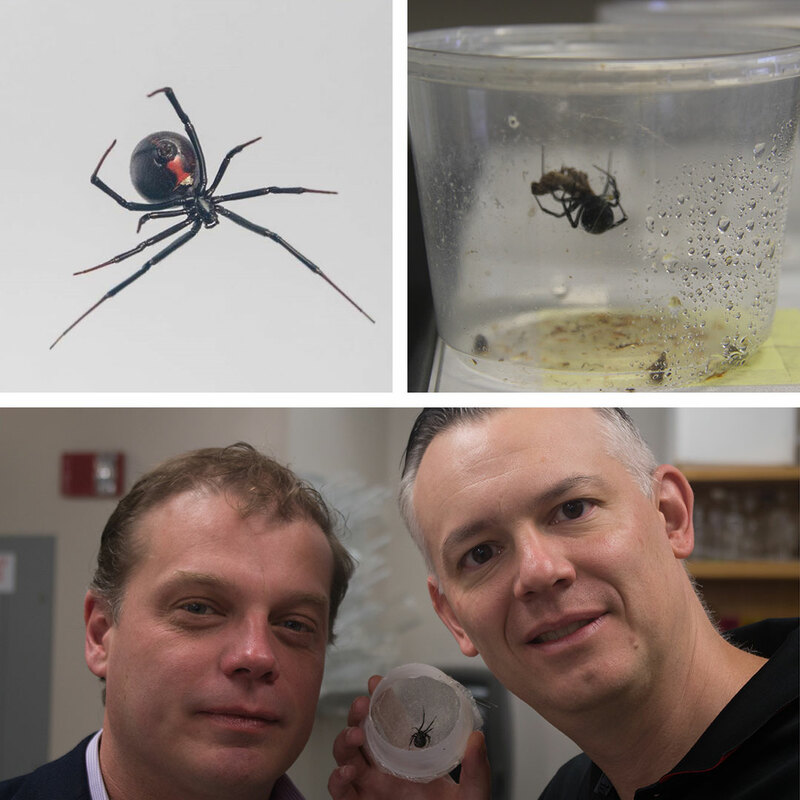 Naturally, science demands that our brave researchers at Northwestern work with these nightmare fodder to help create innovations like more environmentally-friendly plastics and stronger building materials. Warning for all of our arachnophobic readers, but here is a “spider selfie” that the researchers took. Beware. Assuming you got through all of our spooky facts, you are now manually breathing, and you can’t stop yourself from “breathing normally” now. I’d hush your breath though; it might attract the zombies.